Newly formed Shifamed portfolio company Tioga Medical said today that it closed a $15 million Series A preferred stock financing round to support its transcatheter mitral and tricuspid valve replacement technology. The Campbell, Calif.-based company said that it is developing novel transcatheter valve replacement technology intended to be simpler and less invasive than current mitral and tricuspid valve replacement approaches. “We are extremely pleased to close this round of financing with such strong support from our investors. This round allows us to build out a world class team and dramatically accelerate the progress of our novel mitral valve and delivery system before we leverage the technology for the tricuspid application,” prez & CEO Mike Dineen said in a prepared statement. The Series A round was led by The Capital Partnership and joined by Cormorant Healthcare Fund, AMED Ventures and Shangby Capital. Tioga Medical said that funds from the round will be used to advance its pre-clinical and clinical development programs. “The proprietary Tioga technology represents a truly innovative solution to a difficult clinical problem in the structural heart space. TCP is excited to partner with a team with a strong track record of innovative medtech solutions. We believe this combination positions Tioga as an important, up-and-coming player in the mitral and tricuspid valve markets,” TCP private investments head Casey Gordon said in a press release. Money in the round came from 23 unnamed sources, with the first date of sale noted as having occurred on March 12, according to a recently posted SEC filing. 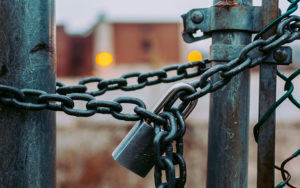 The recent shutdown of a Sterigenics medical device sterilization plant in Willowbrook, Ill. has affected medtech giants such as Becton Dickinson (NYSE:BDX), Boston Scientific (NYSE:BSX), Medtronic (NYSE:MDT), Smith & Nephew (NYSE:SNN) and Stryker (NYSE:SYK), according to an FDA list of devices processed at the sterilization plant. Medium-sized and smaller firms, including Teleflex Medical (NYSE:TFX), Arthrex and ArthroCare also had devices processed there. The Willowbrook plant sterilized 594 types of devices, including sutures, clamps, knives, stents and needles. With a Viant sterilization plant in Grand Rapids, Mich. slated to close later this year, the FDA is warning of spot shortages, and smaller medtech companies may be the hardest hit. The post Sterilization plant closures: Here’s why you need to care appeared first on MassDevice. 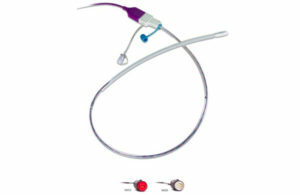 CardioFocus said today that it won CE Mark approval in the European Union for its HeartLight X3 endoscopic ablation system. The Marlborough, Mass.-based company said that the HeartLight X3 is its third-generation endoscopic ablation system intended to perform pulmonary vein isolation procedures using laser energy to block the abnormal electrical pathways that cause atrial fibrillation. The newly cleared HeartLight X3 uses direct tissue visualization, titratable laser energy and compliant balloon technology alongside a motor control system to allow for high-speed, circumferential lesion creation, CardioFocus said. Approval of the device came based on results from the 60-patient pivotal trial of the device, which indicated very rapid pulmonary vein isolation and completion of all required ablations in less than 20 minutes, the company said. “Our clinical results using the HeartLight X3 system have been outstanding, with unprecedented treatment speed and precise lesion creation. Based on our experience with the device, we feel confident that the HeartLight X3 system is poised to change the way AFib ablation is performed in Europe,” pivotal trial investigator Dr. Boris Schmidt of Frankfurt, Germany’s Cardioangiologisches Centrum Bethanien said in a press release. CardioFocus said that it will begin a commercial launch in the region immediately, and that current HeartLight platform users can use the HeartLight X3 technology after an upgrade. “We are eager to begin the commercialization of the breakthrough HeartLight X3 System in the European market. In partnership with our physician users, we are committed to continued innovation and delivering the best treatment modalities in the AFib ablation space,” prez & COO Burke Barrett said in a prepared statement. Last July, CardioFocus said that it launched its HeartLight endoscopic ablation system in Japan in conjunction with its distribution partner JapanLifeline. The post CardioFocus wins CE Mark for HeartLight X3 endoscopic ablation system appeared first on MassDevice. Boston Scientific (NYSE:BSX) this week touted results from a study of a single-shot ablation catheter for atrial fibrillation at a European cardiac rhythm conference. The Marlborough, Mass.-based medical device giant said the 100-patient AF-ficient I study of intermittent AF proceeded in two stages. Phase one, testing the original Luminize design, showed a pulmonary vein isolation rate of 88.9%; phase two, testing enhanced steering and electrodes, showed a PV isolation rate of 99.4%. The median balloon dwell time dropped from 92 minutes in the first phase to 29 minutes in the second, bringing total procedure time down to a median 71 minutes. There were no device-related serious adverse events in either phase at 30 days, Boston Scientific said. The results were presented March 17 at the annual meeting of the European Heart Rhythm Assn. in Lisbon. The post Boston Scientific touts Luminize catheter study appeared first on MassDevice. Patients who had catheter ablation for atrial fibrillation (Afib) had fewer symptoms, a significant long-term improvement in quality of life and fewer recurrences and hospitalizations than those who received drug therapy alone, according to a government-funded study. The same study showed that catheter ablation appeared no more effective than drugs in preventing strokes, deaths, and other complications. The post Study shows catheter ablation for Afib significantly boosts quality of life appeared first on MassDevice. A recent CBS News report provided a real-life example of how Abbott’s Piccolo occluder is making a difference among neonatal infants with a congenital heart defect called patent ductus arteriosus (PDA). Irie and Judah Felkner are now healthy, growing 18-month-olds. But when Irie was born early at just 1 pound 13 ounces, she had a life-threatening PDA that left her mom Crissa Felkner scared that they weren’t going to bring her home. “We saw that Irie’s heart was enlarging in size and more and more fluid was collecting in her lungs,” Dr. Aimee Armstrong, director of Cardiac Catheterization and Interventional Therapies at Nationwide Children’s Hospital, said in an Abbott news release. Armstrong, who was Irie’s cardiologist, suggested her as a candidate for a clinical trial with the minimally invasive Piccolo device. Three days after the procedure, Irie Felkner was breathing on her own. She was one of the first babies treated with the device while Abbott was testing it out. FDA approved the device in January. Abbott has more details about Felkner’s story on its website. The post Here’s how a new Abbott device is making a difference among neonatal infants appeared first on MassDevice. A federal jury in Indiana last week awarded $3 million in damages to a plaintiff in a bellwether case against Cook Medical over allegedly defective designs in the company’s Celect inferior vena cava filters. The plaintiff, Tonya Brand, sued Cook in 2014 alleging that the Celect IVC filter implanted prior to a spinal procedure fragmented and sent broken pieces into her thigh and near her spine. In her suit, Brand included claims for stricter liability and negligent failure to warn, negligent design defect, negligent manufacturing, negligence per se, breach of warranty, loss of consortium and punitive damages. Cook filed for summary judgement, seeking to have the case dismissed. But testimony from the surgeon who implanted the Celect IVC device in Brand, Dr. Mark Rheudasil, indicated that he wouldn’t have treated Brand any differently, Judge Richard Young of the U.S. District Court for Southern Indiana wrote, according to prior court documents. Last December, Judge Young found that Brand was unable to “establish causation in her strict liability and negligent failure to warn claims,” leaving only strict liability and negligent design defect and negligence per se claims intact. In its recent decision, the jury ruled that the design of the Celect IVC filter was defective and that the defective design “was the proximate cause” of damage and injury to the patient, according to court documents, granting damages of $3 million. Cook Medical has not yet officially commented on the decision. The post Cook Medical to pay $3m in damages in IVC bellwether appeared first on MassDevice. Johnson & Johnson‘s (NYSE:JNJ) Biosense Webster said yesterday it launched a new FDA investigational device exemption study of its Qdot Micro radiofrequency ablation catheter exploring its use in treating symptomatic drug-refractory paroxysmal atrial fibrillation. The first patient in the trial has already been treated, with the procedure taking place at NYU Langone Health’s Heart Rhythm Center, the Irvine, Calif.-based J&J division said. “The delivery of 90 watts of RF power in a short, four-second ablation session is a significant advancement in the treatment of paroxysmal atrial fibrillation. We’re eager to see whether this new technology helps to reduce procedure time and improve clinical outcomes,” Dr. Larry A. Chinitz of NYU Langone Health’s Heart Rhythm Center, who treated the first patient in the study, said in a prepared statement. Biosense Webster touted that its Qdot Micro RF cath is the first such catheter to deliver 90 watts of RF power in a short, four-second temperature controlled session, as ordinary RF ablation systems use power levels on average of between 20 to 40 watts and durations of 20 to 40 seconds. The QDOT MICRO IDE trial aims to enroll a total of 185 patients in the U.S. at 30 centers to explore the use of the new RF ablation cath in treating patients with symptomatic drug-refractory paroxysmal atrial fibrillation. “The Qdot Micro RF Ablation Catheter is an example of the innovations we’ve been focused on developing to elevate the standard of care for patients with Cardiac Arrhythmias. We believe this ablation catheter will revolutionize the field of ablation and hope it will make a meaningful difference in outcomes for both physicians and patients, just as the first catheter created by our co-founder, the late Will Webster, did,” Biosense Webster worldwide prez Uri Yaron said in a press release. Last November, Biosense Webster said that it enrolled and treated the first patient in its Stellar U.S. investigational device exemption study. The post J&J’s Biosense Webster launches IDE-cleared Qdot Micro RF ablation trial appeared first on MassDevice.